← Press Release: Support the Family Library and you could be in the money! 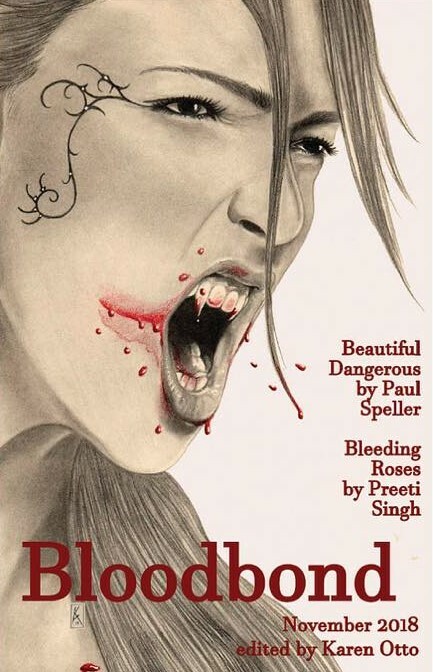 Paul Speller’s latest story, Beautiful Dangerous, is now available in digital format. His new short fiction is the cover story in the latest Bloodbond collection, from the Alban Lake Publishing stable. The horror story tells the tale of what happens when two colleagues visit a seedy nightclub, with deadly consequences. Bloodbond is now available for download from the Infinite Realms Bookstore, for US$3.99. The print version was released last year. Gallery | This entry was posted in News and tagged Alban Lake Publishing, Beautiful Dangerous, Bloodbond, horror, Infinite Realms Bookstore. Bookmark the permalink.